The almost completed horno–waiting for its final plaster coat in a few weeks. 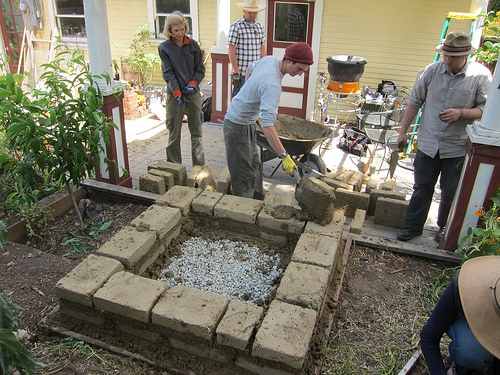 Kurt Gardella and Ben Loescher taught an amazing earth oven workshop at our house this weekend. Keep your eye out for classes these guys offer if you are interested in earth ovens, adobe houses or earth plasters and finishes. Contact information is below. Here I thought I’d briefly describe the process with a few pictures. One of the nice things about this oven is that it was almost free. The only two expenses were for sand and some bags of gravel. The clay we mined from the backyard and almost everything else was scavenged. Total cost was less than $200 and most of that was the delivery charge on the sand. If I’d had a pickup truck I could have loaded the sand myself for much less. In our backyard the ground beneath the top level of organic matter is almost pure clay. I found that a 50/50 sand/mined clay mix with just a bit of chopped straw thrown in for stability seemed to be about right for making adobe bricks. There’s no recipe for building with earth. You have to get to know the clay content of the soil you’re working with and test how much sand to add to it to make a solid brick. Ben and I made quite a few test bricks to come to this formula. 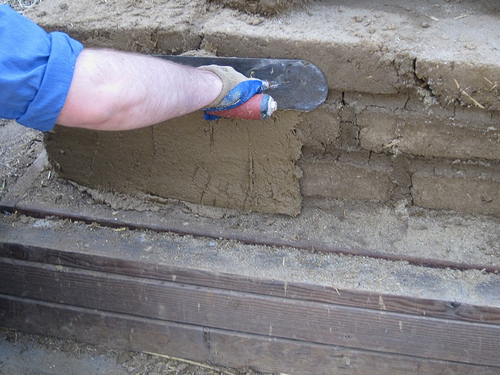 Then I made 100 adobe bricks using just a simple wooden frame as a mold. 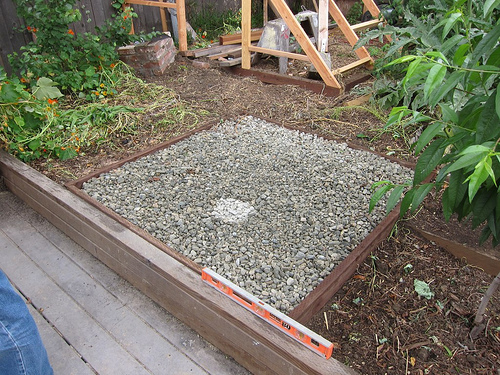 To build the horno we started with a gravel foundation held within a border of treated wood. 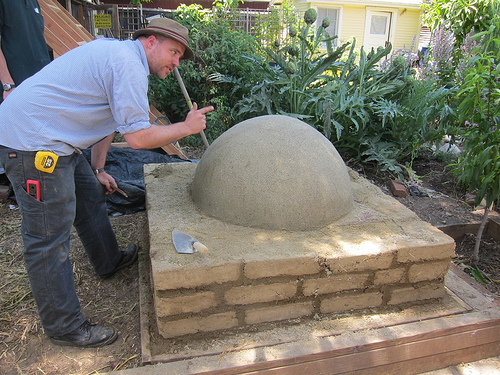 The base of the oven was made from adobe bricks that I made over the past few months and cured in the sun. I’m a big believer in adobe. Making so many bricks familiarized me with the soil I was working with and put me in touch with the original building material of the American Southwest.Though we only used half of those bricks, I’m happy to have some left over for other projects in the backyard I’d like to try. Also, after all of our lead trauma, its great to put the soil from our yard to good use. 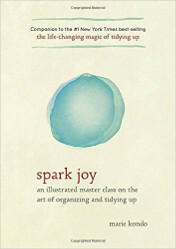 This was a healing project in some ways. Bottles acting as an insulation layer. We should have had Sierra Nevada sponsor this oven! 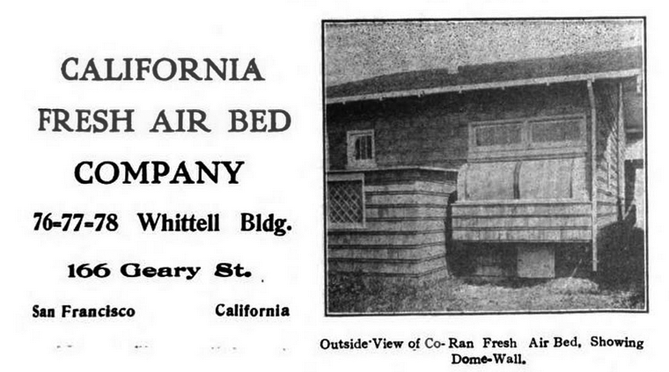 Once the base was built we filled it with leftover gravel and adobe bricks. 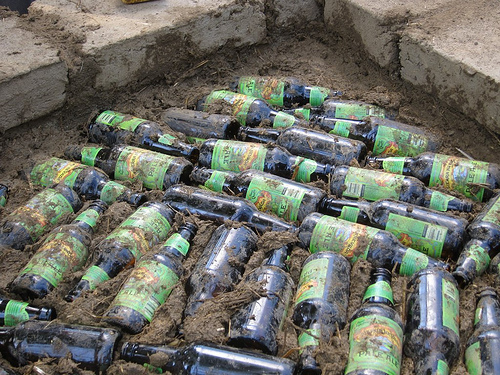 The top layer of the base is a mix of clay, straw and beer bottles. 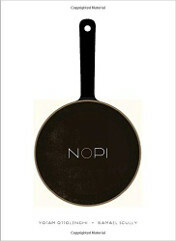 This acts as an insulation layer to keep the base from soaking up the heat of the oven. The floor of the oven is made of standard red bricks set in a thin layer of sand. 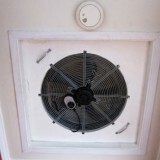 Fire brick is recommended for this application, but in Kurt’s experience it’s not really necessary. 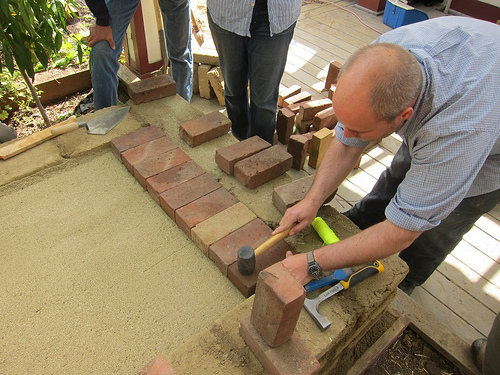 Plus fire bricks are expensive and we had a lot of red bricks laying around that we wanted to use. Again, we wanted to build this oven without having to buy a lot of materials. Next we sculpted the shape of the oven in wet sand. This form will allow us to shape the clay dome and will be scooped out later. Kurt points at the completed sand form. Packing on the thermal layer. With the base completed, on day two, we started to work on the dome. 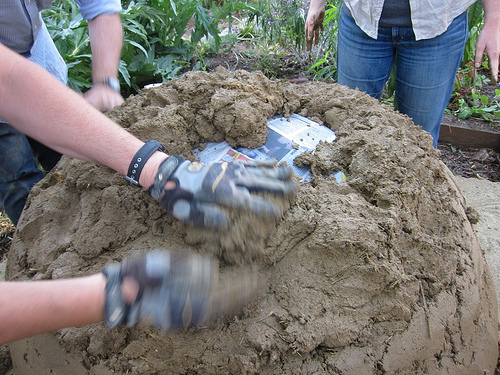 We packed a four inch thermal layer of more clay, sand and straw over the sand. Next came a insulation layer with yet more clay, sand and a lot more straw. 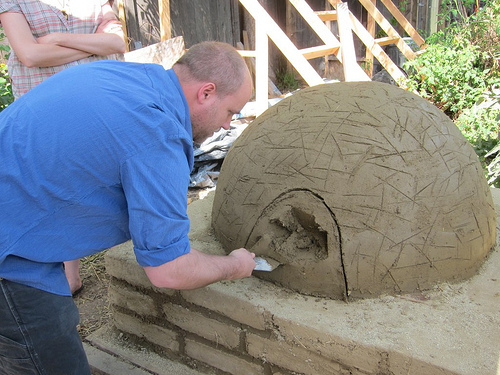 The dome layers are cob–stiff and very difficult to mix. I think if I were building a house I’d use adobe bricks which can be made with a concrete mixer. At the end of the day we scored the dome to fit the door. Carefully cutting open the door. This is the completed thermal layer. The scratches in the clay will help the next layer adhere. Starting the insulation layer over the thermal layer. Stinky fermented cactus juice is added to give strength to the final plaster coat. On the third day Kurt cut open the door hole and carefully removed some of the sand from the dome. In a dry climate all the sand might have come out on that day, but we decided that the dome was still soft and decided to leave most of the sand in for another week, just to be extra safe. 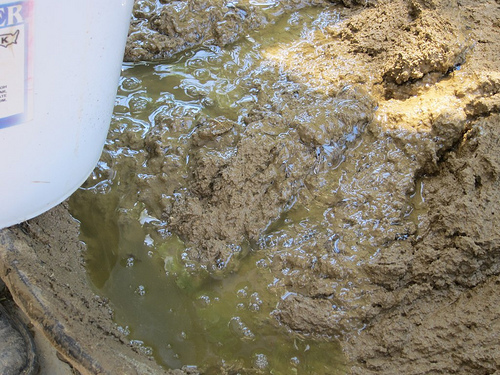 Next we mixed a coat of earth plaster–again, basically the same ratio of sand, clay and straw we used for the adobe bricks–with the addition of two stabilizers to help repel water: fermented prickly pear juice and wheat paste. The prickly pear juice we made by chopping up some cactus pads from our front yard, adding water and letting it sit in a five gallon bucket. 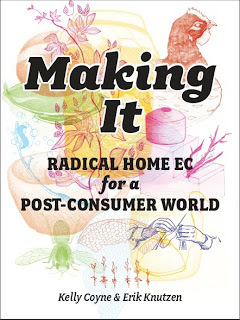 The finished material is lurid green, slimy, and stinks to high heaven. The wheat paste is just flour and water. We’re going to let the oven dry for a few weeks before applying the final earth plaster layer. That one will be as smooth as we can make it. And we’ll need to sand the dome opening to fit the door. Once that is done, we wait some more. The oven can’t be used until it is completely dry, which should take about a month. Applying the first of three earth plaster coats. I find earth building, while labor intensive, very satisfying and meditative. It’s also something that is much better to do in a group. So thanks again to all who helped helped: Kurt, Ben, Brian, Jenny, Connie, Laurie and Leslie. We’ll post some more pictures when the oven gets its final coat of plaster. Very cool oven. I can’t wait to read what you bake in it. Have always thought of doing something like this myself so I will be interested to hear about all the things you bake in it. Meanwhile since I am now in the high desert I am thinking to try out the solar oven. 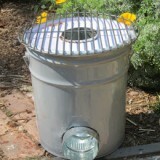 I have never heard of an earth oven but this looks like an amazing project! Looking forward to seeing the final photos and what you make in it. I’m not sure this is correct, but I think of adobe as being bricks and cob as being free form, i.e. sculpted in place. They are both the same thing: clay, sand and some kind of fibrous material such as straw. 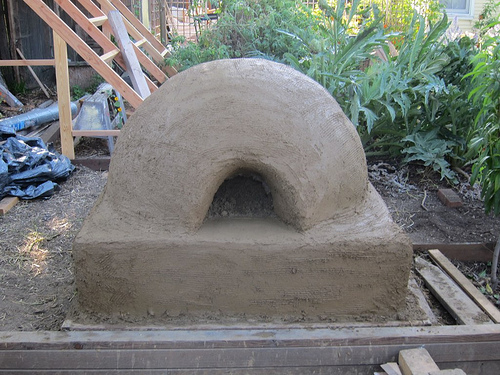 I guess I’d call the base of our oven adobe and the dome cob. Cob also tends to be a stiffer mix. An alternative to an earth oven would be to make one out of brick. Brick ovens are harder to build and much more expensive but they retain heat better. 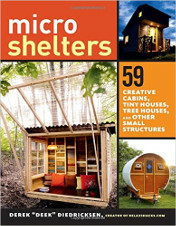 If you’re interested in building an earth oven I’d recommend picking up a copy of Kiko Denzer’s book. 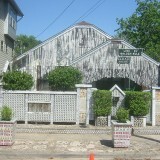 If brick. Alan Scott’s book The Bread Builders (which, unfortunately is missing a few important construction details). 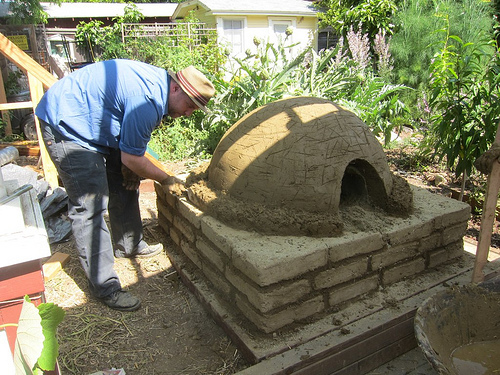 We’re very happy with our earth oven–we’ve had many amazing pizza parties since we built it. I like this earth oven. I want to see what you guys are going to bake in it. Does it the same as ours in here? In here we use to bake our pig, whole chicken, and some other animal we can eat. It works great, but I need to try some roasting projects!